Now c9 will import the invoice. It will recognise items which are units and items which are just spare parts. The first time you import a part that it a unit, it will have a question mark on it. The first time you encounter these and press OK you'll need to tell c9 what these are. e.g. below. 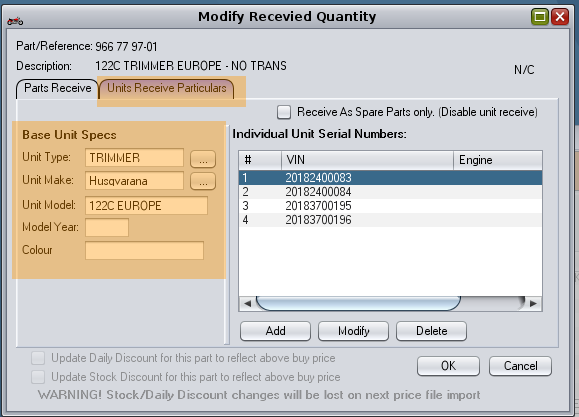 You can click on modify pricing/qtys button and goto the unit particulars tab to review and modify this if you want. 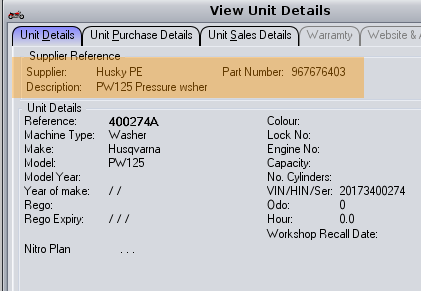 This screen also shows vin/engine numbers being imported too e.g.